Dennis Carlson's interest in the welfare of Ethiopia's rural poor goes back to 1958 when he arrived in that country as a young doctor. 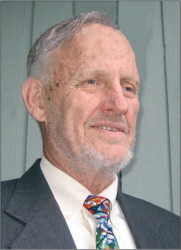 Based on his subsequent experiences working as a relief administrator, public health college dean, and professor at Addis Ababa University, Carlson wrote African Fever: A Study of British Science, Technology, and Politics in West Africa, 1787-1864 (1984) and, together with his son Andrew, Health, Wealth, and Family in Rural Ethiopia: Kossoye, North Gondar Region, 1963-2007 (2008). 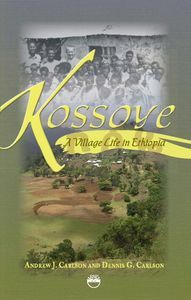 The two authors' latest collaboration is Kossoye: A Village Life in Ethiopia (2010). The work, an account of life in an Ethiopian village over the course of five generations, is described by a reviewer as "a good introduction for any reader interested in how development processes shape and reshape communities over time, particularly in the African context." For more information on the book please go to http://kossoyeproject.org.